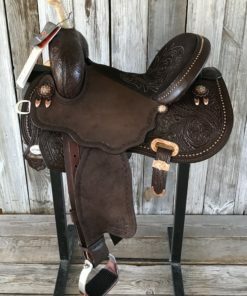 Barrel racing legend, Martha Josey, has designed – from the tree up – her Ultimate Barrel Saddles to reflect her personal style and preferences to keep you correct, balanced, and in stride with your horse. 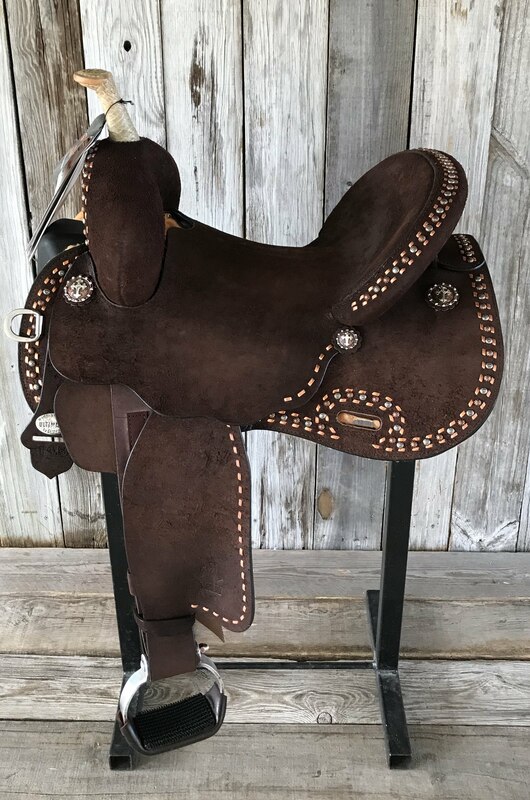 The Cash Rancher has the same great Cash tree you love with a 1″ taller swell and 5″ cantle, with a punchy ranch look-roughout hardseat with metallic copper buckstitch and copper spot trim. 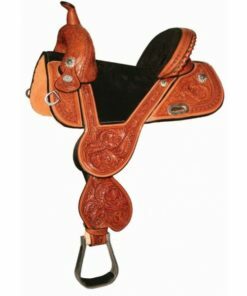 This saddle features the new Rider Buckle-a locking stirrup leather buckle that prevents the sleeve from sliding off the stirrup leather buckle during a run.